If you have lost a beloved family member you can count on our funeral directors for the necessary funeral arrangements in Littleborough. Our funeral directors are compassionate and caring and will offer the best options for the funeral. We are careful to establish the type of funeral required by the family and the budget they have to work with. This is very important as this is an emotional time and rash decisions can be costly. Once you have specified whether you want a cremation or burial and a religious or non-religious service we can begin funeral arrangements. While there will be deep mourning there should also be gratitude for having the person in your life and happy memories of times past. We are all going to lose someone close to us, either a parent or a family relative. In Littleborough, funeral arrangements are all taken care of by our experienced funeral directors. If there is a church that the deceased frequented, we can arrange for a favourite minister to lead the service. If the person had no religious leanings we can organise a cremation with a celebration of life gathering. This can be held either before or after the cremation. There is no right and wrong way to bury someone as the ceremony is for the grieving family and friends left behind. We will organise whatever funeral makes you comfortable in saying goodbye to a loved and much missed relative. Our funeral directors take the stress out of funeral arrangements in Littleborough. Arranging a respectful and memorable funeral is very important to our staff. 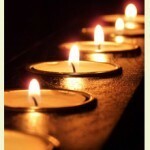 Contact Cope Funeral Service as soon as you have need of our special services. We offer a wide range of funerals that will meet all expectations. If a burial is required we will undertake all the arrangements with the churchyard or cemetery. A burial will normally take place after a church service and we have the transport for the coffin and the family to the burial ground if necessary.